Capital Business Solutions has been working with Trinity Episcopal School, of Charlotte, NC on their Raiser’s Edge software. Working with Greer Williams, Director of Operations, CBS has been providing consulting and training to support them with prospect tracking building on some previous work to assist with using the Prospect Tab for Campaigns. The consulting and training included report setup, review of dashboard analysis and a review of campaign procedures. 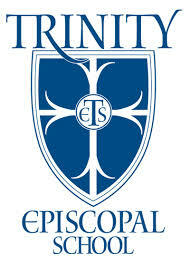 Who is Trinity Episcopal School? Few schools in the country do service learning as exceptionally as Trinity Episcopal School in Charlotte. The combination of engaging children in authentic activities with a year-long partnership at each grade level and building relationships through service every other week helps students build a greater understanding in academic areas and develops a spirit of empathy and appreciation. Trinity is a place of honor and integrity. Their Honor Code sets high expectations for each of us. In addition to a commitment to personal integrity, not lying, cheating or stealing, our values include individual responsibility, teamwork, respect, kindness, consideration and empathy. Which CBS Consultant is working with Trinity Episcopal School? Alyson graduated from Davidson College with a degree in English. 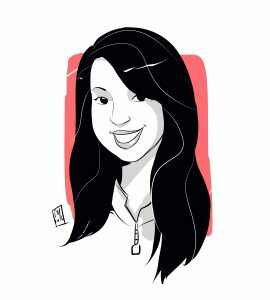 She has over 20 years of practical experience as both a fundraising professional and donor management services consultant in a variety of settings specializing in Raiser’s Edge. Nine of those years were spent in a Director of Development capacity. In 2006 Alyson transitioned into a consulting role and has since worked closely with a wide range of nonprofits, from national organizations to small two-to-three person shops in education, health and human services, the arts, animal welfare, conservation, foundations and more. Our Raiser’s Edge/Raiser’s Edge NXT training and consulting are unique, assigning a single Raiser’s Edge/NXT consultant to your organization throughout your training and/or consulting process. Our training consultants have extensive experience, both providing services to nonprofits and as nonprofit professionals. We are experts at delivering basic to advanced database training tailored to your organization’s needs. Capital Business Solutions, 2017 Blackbaud Channel Partner of the Year, is a recognized leader in providing cutting-edge, integrated financial and fundraising software solutions and professional services purpose-built for the nonprofit and public sector. Offering our clients more than thirty years of combined industry specific experience, we have successfully implemented more than 700 clients in our 19 years of operation. If you are interested in finding out more about training and services for Raiser’s Edge/NXT please reach out to us at (888) 249-6008 or contact us to chat.